This Manikin is IN STOCK and ready to ship today! 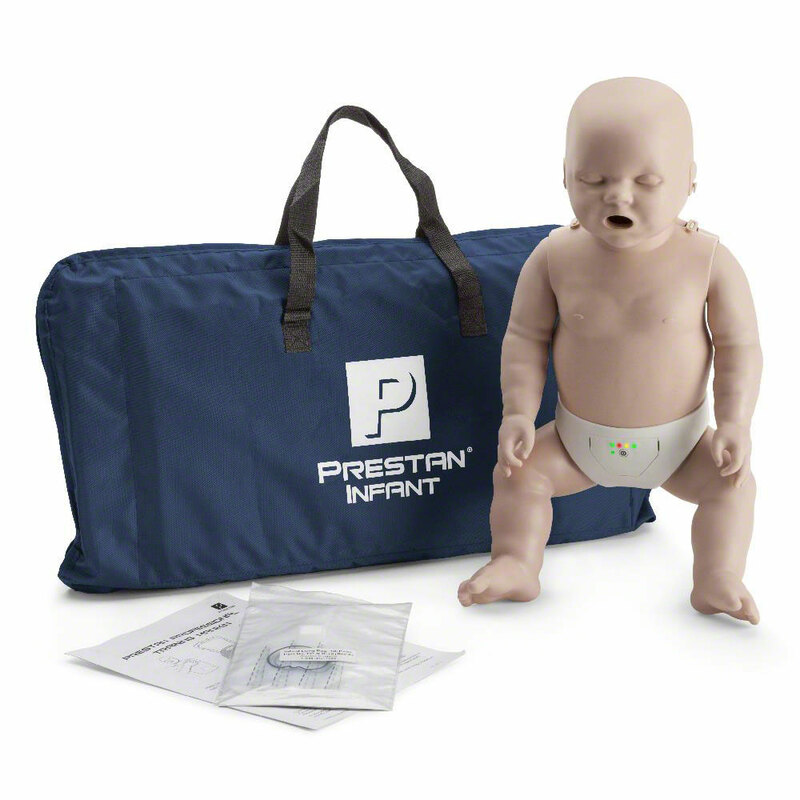 Professional Infant CPR-AED Training Manikin (Single) by Prestan Products. 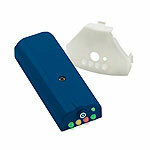 Available with or without CPR Monitor. Includes 10 Face-Shield Lung Bags, Instruction Sheet, and Nylon Carrying Case. Weight: 6 lbs. 3-year manufacturer's warranty. Not made with natural rubber latex. 2 "AA" batteries included with each monitor. 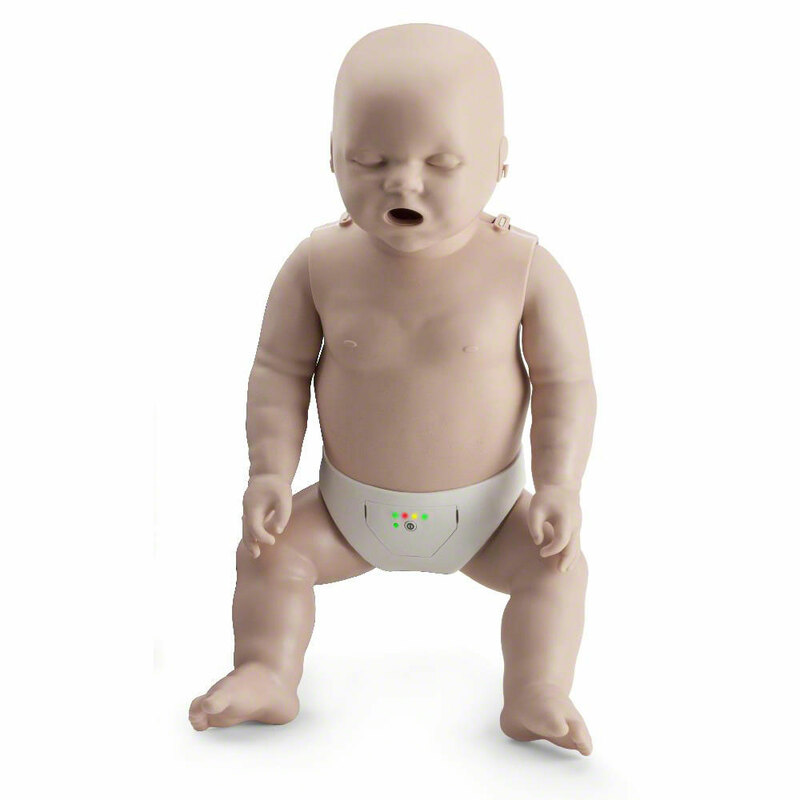 Realistic to the eye and the touch, the new Prestan infant manikin is unlike any other on the market. Available individually or in convenient multipacks of four for class training purposes, their manikins are uniquely designed as a clamshell that accommodates an easy-to-insert face shield lung bag. Prestan's revolutionary CPR Rate Monitor allows for instant feedback to both instructor and student regarding the rate of chest compression. This allows each student to gauge their rate of compressions on their own as well as allowing the instructor to monitor several students quickly and easily. And with our patented face/head tilt, the Prestan manikin simulates the way an actual victim's head would move if he required CPR. In addition, the unique construction of their manikins incorporates a mechanism to help them use the correct force to compress the chest to the correct depth. Face shield is secured so it won't slip and there's no need for adhesives. Gives each student a realistic experience that provides for the best "real life" CPR outcomes. Clicker mechanism increases student's confidence in administering adequate compressions. First of all these Manikins arrived so quickly that it caught me by surprise, customer service at its best. The manikins are of excellant quality and certainly live up to high standards. These manikins are very easy to prepare and set up and are quite simple to use. Even more important they are very like-like in how they perform. They give instant feedback so the student knows immediately if they are performing CPR correctly. Very happy with this product amd recommend them highly.